A lovely personalised way to give the gift of Champagne, Wine or Bubbly to any couple on their Anniversary. This bag has two handles so makes it perfect for carrying. 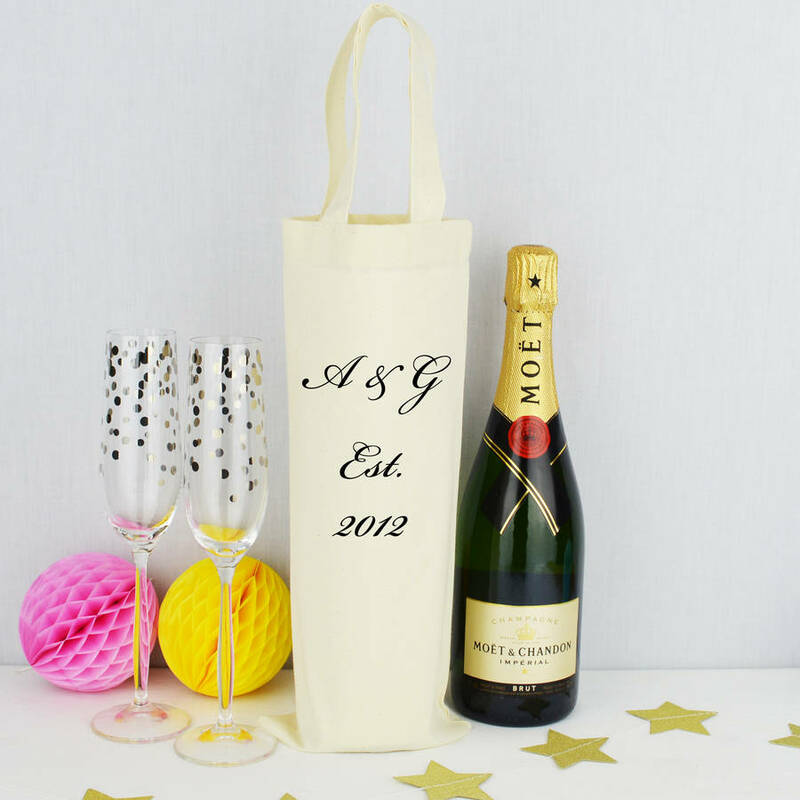 Our bottle bags make the perfect gift for any occasion such as a Valentines, Anniversary or Wedding gift. Should you wish the text on the bag to be in an alternative colour to black please send me a message with your prefered colour choice, and we will arrange this for you. 100% unbleached and undyed cotton.